Edited by Jeevan K. Prasain . 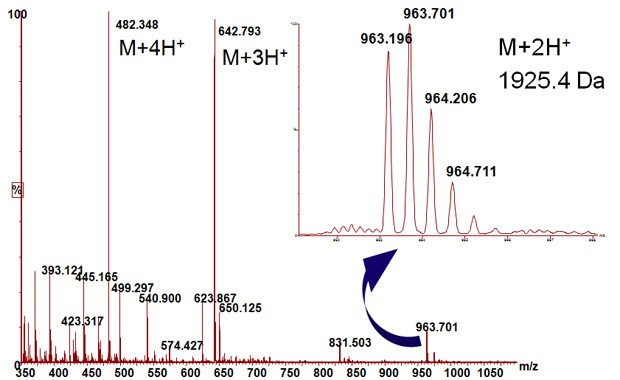 Over the last two decades tandem mass spectrometry has become one of the most versatile analytical techniques in the study of biochemicals and it is expected to expand further from its classical applications in chemical research to the study of chemical entities at the systems level. The main objective of this book is to provide a current review of the principles and various applications of tandem mass spectrometry. Although there are a number of books dealing with mass spectrometry, there is seemingly no book available in the market that can authoritatively describe the qualitative and quantitative analyses of small and macro molecules by mass spectrometry in a single text. This book comprises 30 chapters and is divided into five main sections. Attempts have been made to offer a detailed discussion on background, experimental methods and results with many illustrations in each chapter. Thanks are expressed to the contributing authors who have attempted to provide comprehensive review from the basic principles to cutting edge research of mass spectrometry. Finally, I would like to thank Ms. Alida Lesnjakovic, Publishing Process Manager, and other InTech publication staffs for their wonderful support.